Be bold with a big statement! 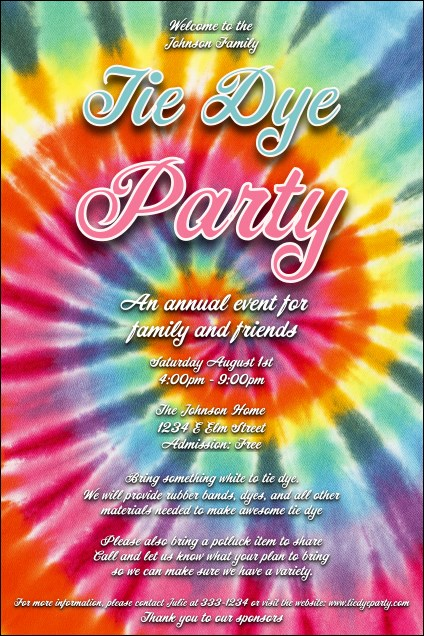 The Tie Dye Poster is rich with color and cheer! This template offers nineteen lines of script for party or festival details, all on a blue, pink, orange, and yellow swirl of a backdrop. Post these around town to promote your peace-loving celebration or concert. Tie together your event promotions with a Matching Event Kit from TicketRiver.com.au.